HTML stands for HyperText Markup Language. TheAPIBook used to dishonest HTML with motto "code HTML" - which is obviously a nonsense: How can you code a markup language? You can't, it is a markup language, not a programming language. Can we replace that scripting language with a real programming language like Java? Are you asking what am I trying to demonstrate? I am trying to show that now the two Java rich client platforms are closer than ever. For a while, when one wants to share a code, one can use OSGi (since NetBeans 6.9). Now, when one wants to share UI, one can use DukeScript. So, when you need to write code that runs everywhere, consider using the DukeScript technologies. 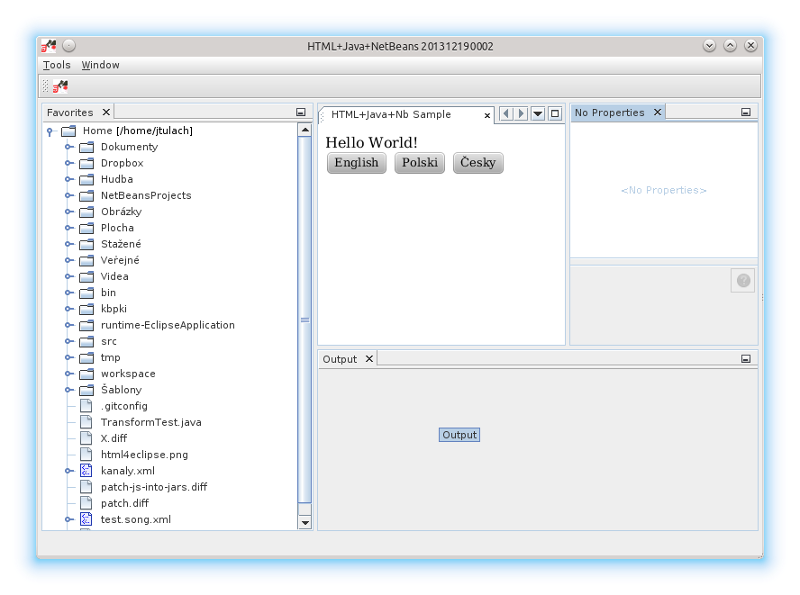 Not only it can be displayed everywhere (Eclipse, NetBeans, desktop, browser, iOS, Android so far), but there are tons of tools that allow you to audit the HTML, CSS (including NetBeans Easel). All the infrastructure will be part of NetBeans Platform since version 8.1. But don't wait: follow these steps to get DukeScriptInNetBeans and you'll have NBrwsr in your 8.0.x! The OpenHTMLRegistration action works with plain HTML pages as well as those driven by Knockout4Java classes (like the Hello one in the example). To control NetBeans actions, make sure your control class has context property and use it properly as the sample demonstrates. The NBrwsr is ready for usage. 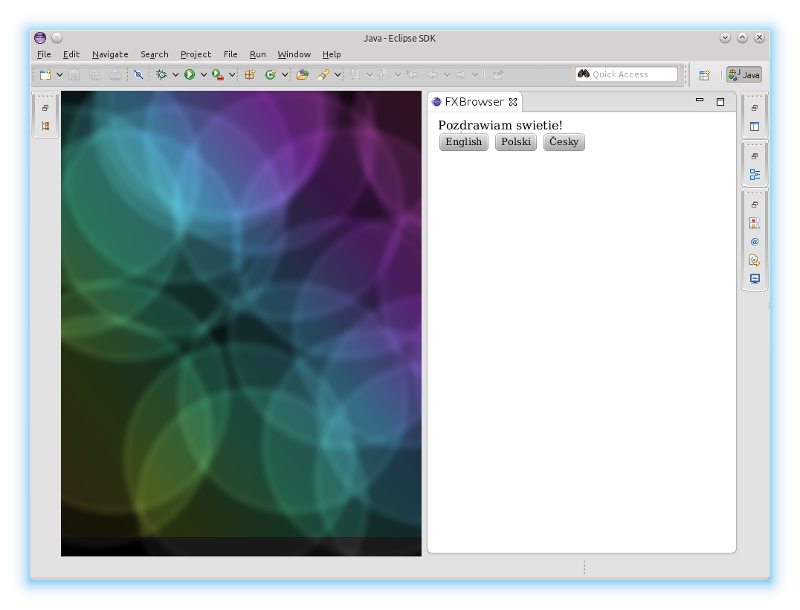 The Eclipse version builds OK, but works only sometimes and needs even more polishing. However if you are interested in this technology, please talkback.